We aim to enable you to enjoy a positive and safe birth experience. We work in close partnership with you by providing information and choice at all stages of your care. We have a passionate and committed team of midwives, supported by a range of multi-disciplinary colleagues, who will provide you with the highest level of care throughout your labour and postnatal recovery. All of our care pathways are based upon guidance and best evidence from National Institute for Health and Care Excellence (NICE) and the Royal College of Obstetricians & Gynaecologists (RCOG). 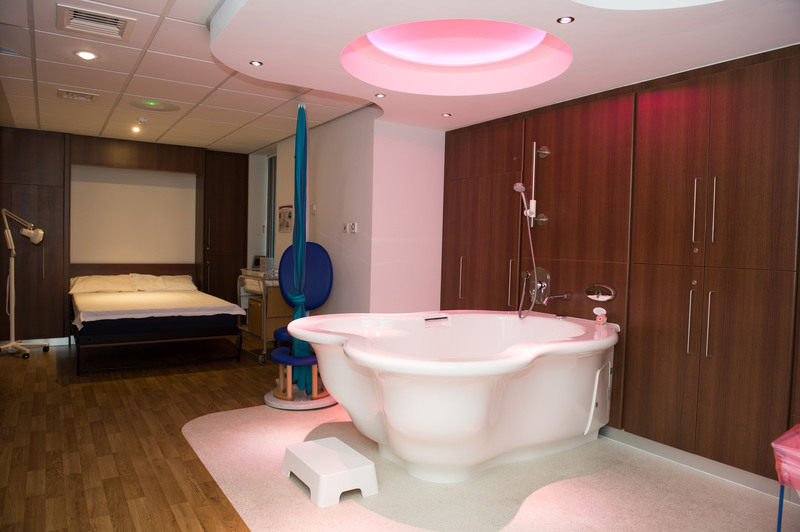 For those women experiencing birth in Harrogate District Hospital, we offer a range of facilities and services. 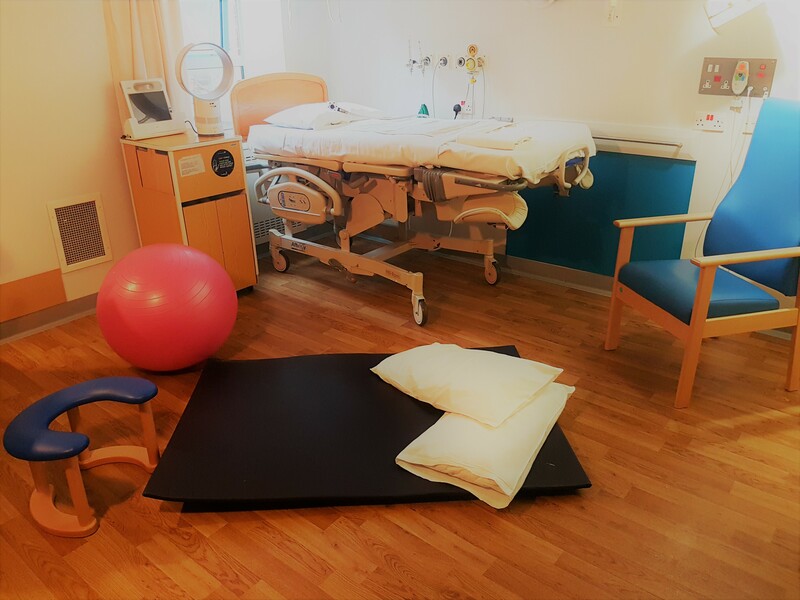 Our Delivery Suite has recently undergone a major refurbishment and now comprises five dedicated delivery rooms, each with a new en suite wet-room. We also have a brand new birthing pool in our low-risk birthing room. Here, we will support you to utilise a range of equipment to encourage an active birth experience with the opportunity for water birth. The room has an array of mood lighting for your enjoyment and to promote your relaxation and comfort. We support all forms of pain relief, from our specialist hypnobirthing course to a full epidural service provided by our 24 hour anaesthetic cover. The Maternity Unit also encompasses our new triage Maternity Assessment Centre (MAC) and a dedicated obstetric operating theatre for emergency deliveries. This operating theatre sits adjacent to the Special Care Baby Unit (SCBU). Whatever the level of your medical or obstetric care requirements, we have a specialist team of consultant obstetricians, anaesthetists and their associated colleagues, who are based on the Delivery Suite and provide 24 hour cover. We also have a full team of other auxiliary staff. We are very pleased to support the training of the next generation of student midwives and nurses on clinical placement from our associate higher education institutions at the universities of York and Leeds. Our Maternity Assessment Centre provides a triage service for women over 14 weeks gestation, to assist with any worries or concerns. If you suspect that you might be in labour or have any other pregnancy-related issue, we would request that contact is made initially through MAC: 01423 557531, 8am-8pm. Outside of these hours you should contact Delivery Suite directly on 01423 553184 or 01423 553185. For non-urgent enquiries you should contact your named community midwife directly, or get in touch with any other member of the Community Team through the community midwifery office on 01423 553051. Before 14 weeks’ gestation , please contact your GP or the Out of Hours Service (via 111). Visiting hours are 1-8pm for antenatal patients. In labour we would advise you to restrict visitors to your birth partners (a maximum of two), who can stay with you throughout. For the health of all of our mums and babies, we request that any visitors having recent diarrhoea, vomiting or possible infective illness avoid coming to the ward. The Delivery Suite is situated on the first floor in Strayside Wing, adjacent to Pannal Ward and Special Care Baby Unit (SCBU).